This post originally appeared on the Discovery Educator blog network in December of 2013 in my blog "Kathy's Katch" at this URL: http://blog.discoveryeducation.com/blog/2013/12/01/sketchnoting/. Way back in 1999, I was asked to be part of a team to craft the goals for the second version of the US DOE National Technology Plan. There were about fifty people in the room, from all areas of education. We had lots of discussions, then jigsawed to share thoughts, then shared out with the whole room, then had additional discussions with our new group, and then moved to more jigsaws to share, and then, again, sharing out publicly. However, as this was all going on, there was a gentleman who was sketching the whole-group sharing discussions on big pieces of chart paper that lined the room. I was fascinated watching him take our verbal ideas and turn them into visually-beautiful works of art that represented exactly what we were saying! He never asked a question or for a clarification of the content. During a break, I went to talk to him and asked him how he knew so much about educational technology that he could keep up with us as we both raised our hands and, sometimes, interrupted others. He told me he knew nothing about the content we were discussing and his company did this same type of visual notetaking for any content area or company. I was then TRULY amazed! On that day, these great works of art were photographed, and they were shared on the Web for a bit, but they are long gone. Fast-forward to today, and these same visual notes are starting to be created using digital tools. For whole group sharing, the visual notetaker is ususally using a tablet device, drawing software, and projecting the results to a large monitor. They are easily saved this way, but the participants cannot usually view them all at once. Even if the visual notes are created with pen and paper and then photographed or scanned, there are many new places to share them online. Visual notetaking is both an art and an organizational tool. There are various ways visual notetaking can be used. The first, as my story outlines, is about the notetaker visually recording what is taking place in a meeting or lecture. The notetaker is not a participant in the conversation. The second type of use of visual notetaking occurs when the facilitator of a meeting or group is the one creating the visual notes. He or she is interacting with the others as the notes are created. As the facilitator, he or she may also be sparking additional conversation by adding elements to the visual notes to spur new avenues of thought or to keep the group on task. The third use of visual notetaking is now being used by many students and teachers and is commonly called “sketchnoting”. Sketchnoting, in its purist form, is creating a personal visual story as one is listening to a speaker or reading a text. I also believe the interactive notebook, which includes the process of taking “regular” notes” while listening to a speaker and later creating a sketchnote of the text notes, should also be considered sketchnoting. My friend, Tracy Sockalosky (@tsocko) who has just begun to sketchnote, was attending the EdTech Teacher iPad Summit last week. Here is the link to the presentation she sketchnoted. Tracy has just begun to sketchnote, but, as you can see from the image below, she is really getting it! What is the purpose? Why should one draw and connect thoughts and ideas visually? The research is clear about the benefits of visually representing content and it is based on the research in the area of Allan Pavio’s dual coding theory. I am no expert in the theory, but I have found that this Education.com article by Mark Sadoski does a good job of providing a general overview and references for the work of Paivio. In addition, there is an extensive article by James M. Clark and Allan Paivio that provides some of the research into the relationship between the dual coding theory and education. It includes everything from teacher education to learning, memory, and study skills. Ben Norris created a Slideshare about sketch notes and includes his version of an image to illustrate the dual coding theory. The image was created by Sunni Brown and re-created by Norris. I have done a lot of reading and watching on the topic of sketchnoting, and all the tutorials and overviews state that one does not have to be an artist to sketchnote. It seems to be all about learning how to listen and how to plan and organize your sketchnoting. One way to practice sketchnoting would be to watch a short Discovery Education Streaming clip and sketchnote the content. Pretend you are in a graduate class or at a conference lecture. This would also be a great way to provide professional development for your teachers and students in sketchnoting. Their sketchnotes could serve as an introduction or summary of a Discovery Education Streaming video! Here is a well-done video about visual notetaking so you can learn more about it. I have also recently created a support page with resources for learning about sketchnoting in education and tutorials on how to sketchnote. Do you sketchnote? What tools do you use? Have you posted your sketchnotes and would like to share them with us? Have some favorite sample sketchnotes or tutorials? Email me or find me on Twitter @kathyschrock with any resources…thanks! 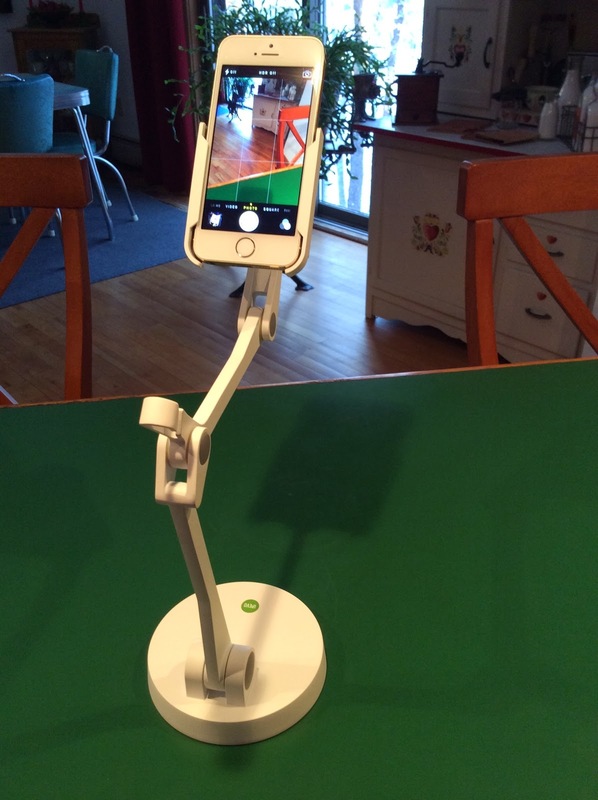 IPEVO has come up with another winning device to help teachers in the classroom-- the IPEVO Articulating Video Stand for iPod and iPod Touch. This useful product holds your iPhone or iPod Touch in a sturdy metal stand to allow you to use your iDevice in any number of ways. The unique holder has springs which enable you to spread the holder open to easily insert the device and then gently release the springs. The holder can rotate easily to allow you to have the device in the direction you need it to be. 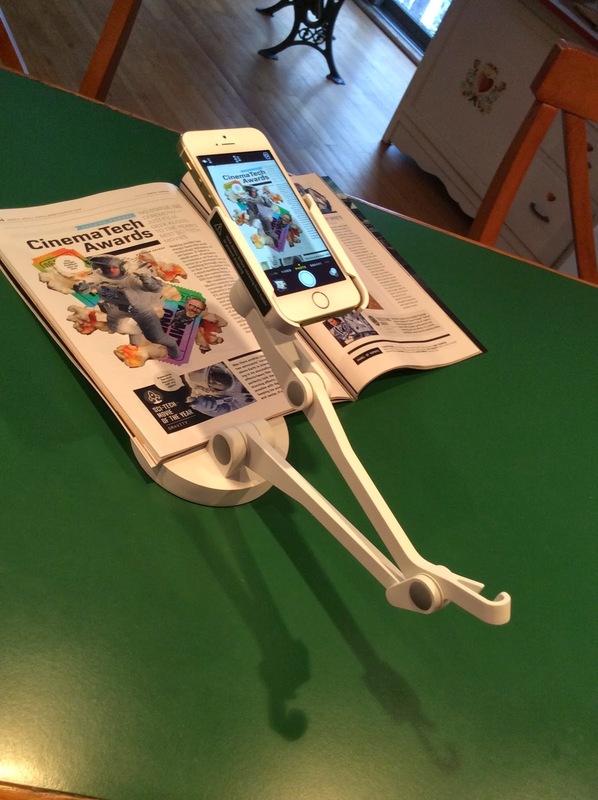 By hooking up the iPhone or iPad Touch to a VGA projector or Apple TV, you can use it as a document camera, as shown. You can see that the articulating arms allow you to put it as close or far away from the item being projected as you need to. You can also use it for recording a video of a process for students or when editing an essay paper. 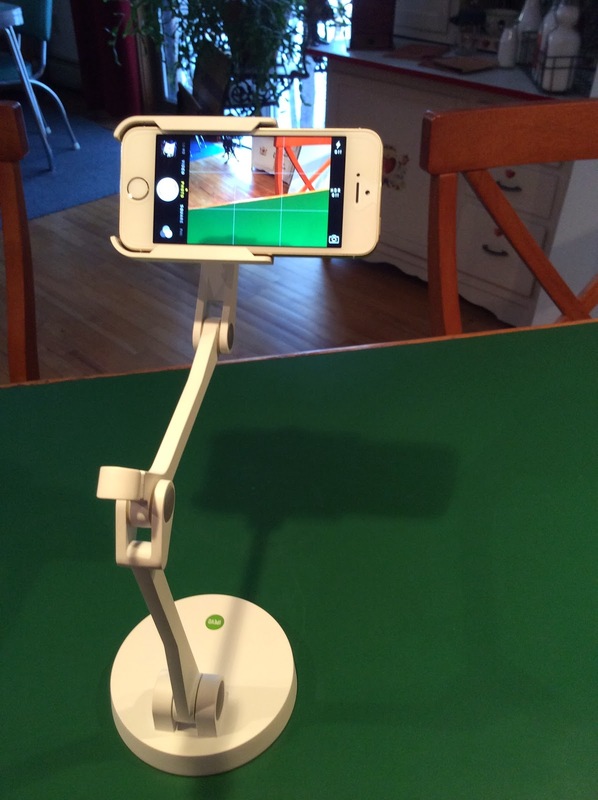 Another great use of the IPEVO video stand is to use it to hold the iDevice steady when using animation software and the camera on the device to make an animated movie. When making an animation movie, it is important to be able to have the camera be steady. 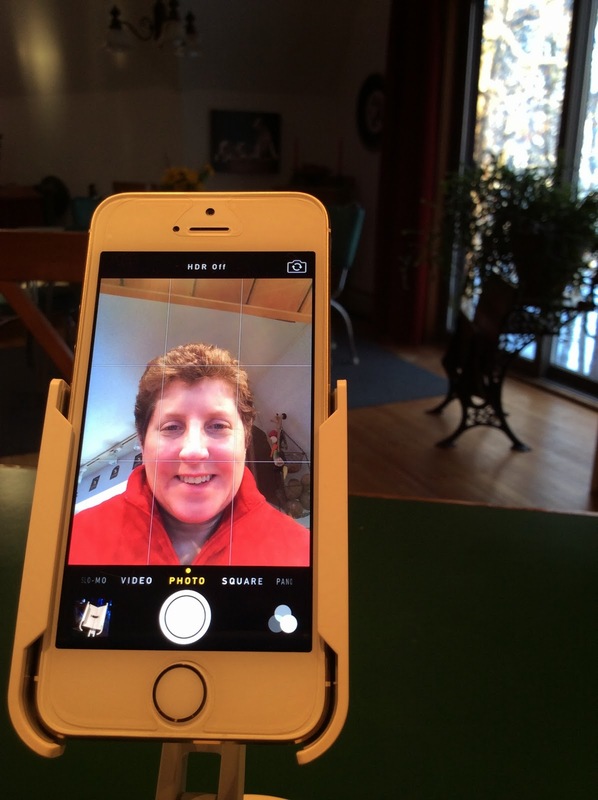 You can also use the front camera on the iPhone or iPod Touch and hold the item steady while having a Facetime or Skype video conference. 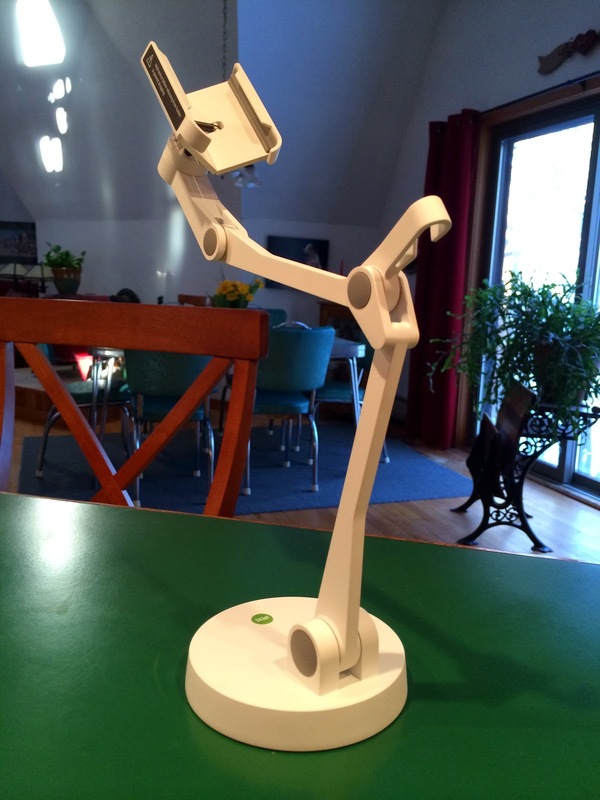 The IPEVO Video Stand can articulate in many directions and heights to allow you to project or photograph items from small to large. The weighted base keeps it sturdy at all times! 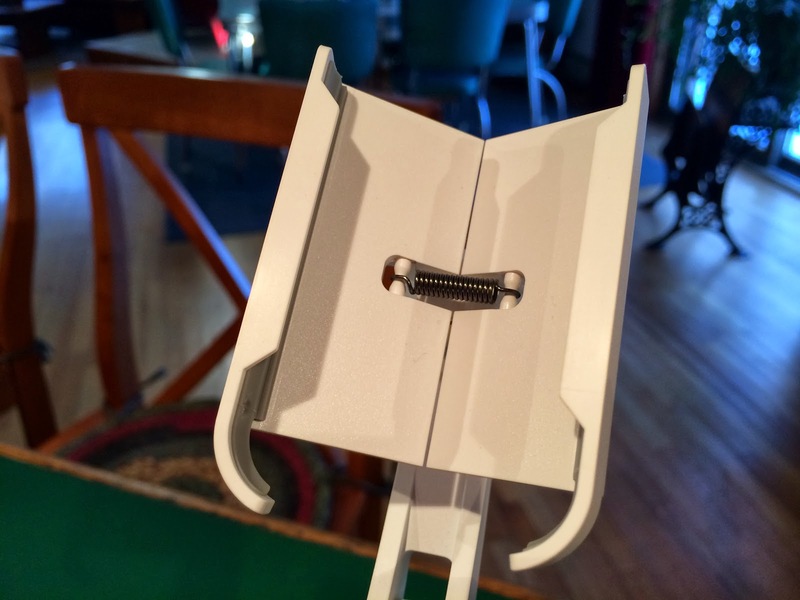 The IPEVO Articulating Video Stand comes in black or white and sells for $69. I was contacted to have an interview with a CNN reporter about Glass use in the classroom. I knew I could not participate in the interview because of some family events, so I just wrote a lengthy email with my thoughts. The article came out on February 10, 2014, included a a bit of what I wrote about, but I wanted to share the full text of my thoughts. An an educational technologist, a Google Certified Teacher, and in my role of ISTE Board member, I am always thinking about the role technology can play to improve teaching and learning. It is not about the technology, but about having a choice of tools available for students to support their learning. Educators are bringing blended learning and project based learning into the classroom. Students are researching, collaborating, and creating projects and products to showcase their mastery of content by using technology in meaningful ways. 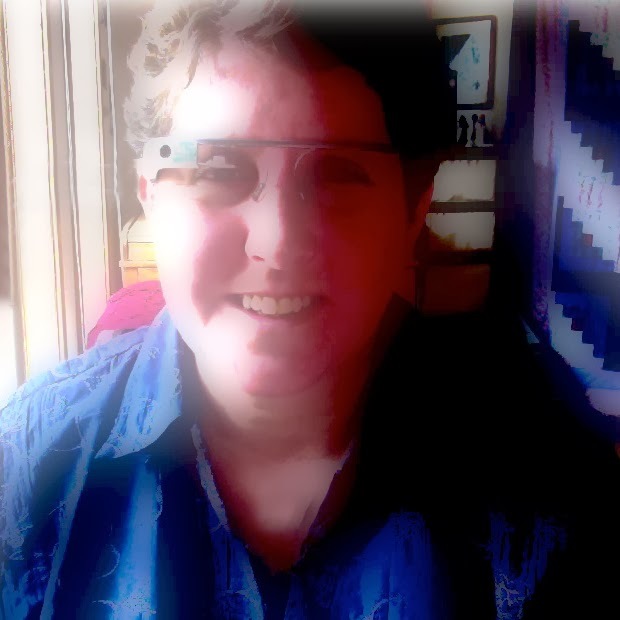 Wearable technologies, such as Google Glass, are beginning to be used by teachers and students to support the instructional process. Teachers and students are sharing the ways they find to include Glass seamlessly into the curriculum via blogs, Twitter, and Google+ postings. Even though there may be only one pair of Glass in a classroom, the ability to screencast what the wearer sees and project it via an iOS or Android device, opens the world of Glass to everyone in the room. The ongoing development of applications to be installed on Glass, called Glassware, also provides various tools that can be used in the classroom. Students or teachers creating videos through the eyes of the wearer to share with others. These videos can be recorded and shared via YouTube as well as be shown in real-time by starting a Google Hangout. When wearing Glass, the wearer can use both of their hands, and can easily document a science lab, presentation, or other class-related event and post that up to a class Facebook, Tumblr or Google+ account, all via Glass. WordLens is a Glassware app that translates what the viewer is reading to and from many languages. This can be very beneficial to a second language learner in the classroom. For students with physical handicaps, being able to search the Web via their voice as well as easily send messages to a classroom backchannel, Twitter, or the teacher, can assist them with various classroom tasks. For students who are interested in developing applications, Google Glass provides another avenue of developing for a specialized device. The possibilities are endless as more applications are developed for the device and as Glass gets into the hands of more teachers and students. There are many educators in K-12 who are documenting how they are using Glass in the classroom. Educators are always eager to share and help one another! One great project is Margaret Powers (@mpowers3) “365 Days of Glass Project”. (http://http://365daysofglass.com/) Each day she documents how she and the students are using Glass in her schools. Recently, she recorded kindergarten students in her Maker Club, as they create flowers out of cups, cardboard, and additional materials. And the next day, after their unit on snow, the kindergarteners wore Glass to record images and videos of the snow outside and share them with classes they are collaborating with in Brazil and Singapore. The first-person perspective on her site becomes instructional for other teachers and makes it easy for them to replicate the lesson or project in their own classroom. An interesting pilot project that should provide teachers and students with more ways that Glass can be used in the classroom is the one at Lufkin Independent School District in Lufkin, Texas. The middle school students are encouraged to wear Glass and come up with ways for it to be used in school. As more schools get Glass in the classroom, there will be widespread sharing of thoughts and ideas. Having a single pair of Google Glass in the classroom reminds me of the days of the one-computer classroom. Everyone had to wait for a turn to use the device. I think once we see a K-12 school pilot with a classroom set of Glass, there will be many more practical and creative uses showcased.